CVA actuators utilise Rotork’s innovative and well established ‘non-intrusive’ communication technology for actuator programming and adjustment. Actuator set-up and configuration is performed using a Bluetooth® enabled PDA or PC running Rotork Enlight software. 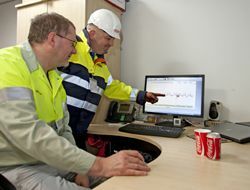 Every CVA incorporates an onboard data logger, enabling operational data such as valve torque profiles, dwell times, actuator events and statistics to be downloaded for detailed investigation and diagnosis. 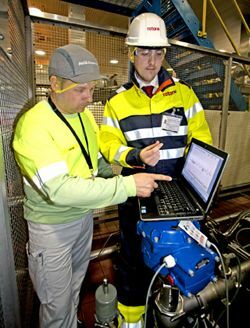 After analysis, any required configuration changes can be uploaded into to the actuator. 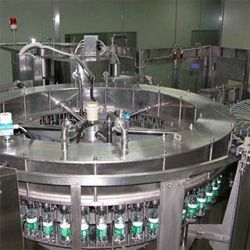 The CVA installed at Wakefield is on the inlet of the bottle filling machine, similar to the one shown above. Basically there are two operation modes and the CVA plays an important part in both. 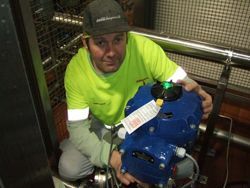 The CVA controls this pressure in a PID controlled system, the set point being 4 Bar. This not only saves on power consumption and improved control but also lowers the compressed air consumption. The CVA controls this pressure in a PID controlled system, the set point being 1.5 Bar. As stated above, the performance of the CVA is much better than the pneumatic actuator as the CVA does not overshoot the set point.